Kids Photography In South Africa I recently visited South Africa where I had a photo shooting session for an organization Star For Life. 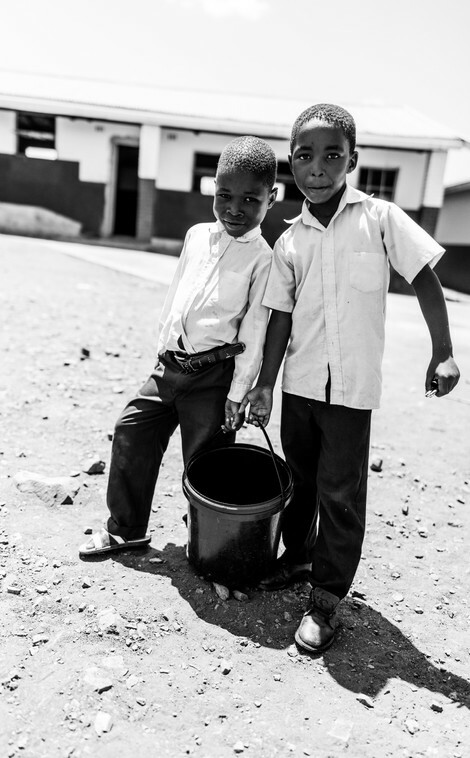 They operate and assist primary schools in South Africa and Namibia to prevents AIDS within young people. Together with my assistant Mikael Wassdahl, we visited seven schools for ten days in February 2017. It was hot in South Africa with temperatures over 38 degrees Celsius. Even the locals complained about it too. My mission was to update the organization's image bank with new high resolutions pictures that they can use in different media, both for their social and printing format. We landed in Durban and drove 350 KM to the KwaZulu-Natal province where we spend the next week. The landscape was fantastic and beautiful. I discovered that they use the right side lane in driving. Coming from Sweden where we use the left side, this was new to me. We got constant "beeping" from angry cars as we made our way to the first school.Kids photography is exciting. But in such hot conditions, it was a test to my equipment.I always strive to deliver the best, and I trust my Nikon D810 camera and Zeiss Otus lenses to give me these results. It was a challenging experience, and my equipment got scorching hot. I had to use gloves to be able to handle them in such heated conditions. At The SchoolWe finally arrived at the school and met the people from the Star For Life. I explained to them my plans for the day with the kids.The first school we visited has over 650 students from kindergarten up to the 9th grade (they are about 16 years old). I walk around in the school yard to have a feeling of it and the students too. I took some test pictures using Zeiss Otus 28 mm and Zeiss Otus 55 mm to see which of them will produce a better result. I finally decided on the Zeiss Otus 28 mm. It has a special effect and gives me the confidence to zoom in pictures while maintaining the same colors and perfect sharpness.My Thoughts As A Professional PhotographerAs a professional photographer, it is imperative to “get what you see.” Whenever I am at a scene, I often see the colors, the people, landscapes and the lines and the shapes of everything.It is important that I use equipment that does not tamper or alter the original state of the images. I believe in originality and keeping the images intake. I am against using Photoshop to alter images or colors in any way hence I prefer Lightroom. Back To Kids PhotographyI took several pictures of the kids. Some in the classrooms and others at the back of the school. 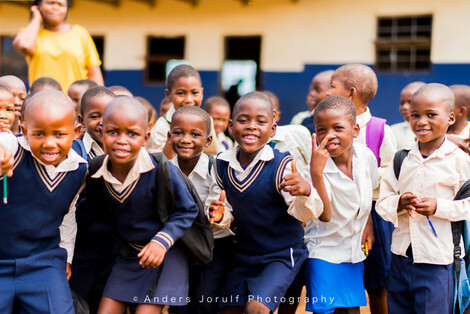 The later I succeeded by summoning the Principal to instruct all 650 children during their lunch break.The Albino KidShortly before we left for the next school, we were interrupted by the Principal. He introduced us to this cute Albino child from the kindergarten ( 5 years old). Such a curious and sweet child but he has a horrible story.His Horrible StoryIn some parts of South Africa, having an albino child means a bad omen to the village. So they kill these kids and use their bones to make necklaces.By so doing, they claim it brings and restores good luck to their community. This boy´s parents decided not to kill him but give him to a foster home far away from their locality. Here, he is guarded 24/7 where he gets constant care from adults. There is a security guard that protects his every movement even while in the classroom.I was glad to be given a chance to take photos of him, and I did it with so much enthusiasm. I used Nikon D810 and Zeiss Otus 28 mm for this session. I used the "manual mood" and enjoyed the experience of choosing the sharpness and focus as I wanted.Back With The KidsAfter a couple of images, I was back with the other children. It was an incredible experience to have these curious kids reaching out and touching my equipment.It was a memorable experience to share this day with them. 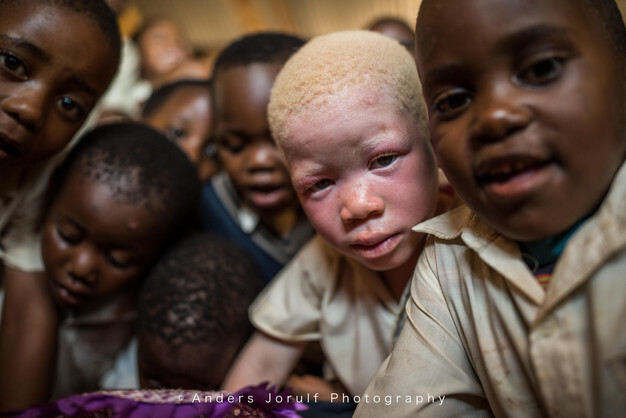 The principal encouraged me to share the pictures and spread the awareness about the treatment of Albinos in their area.They help in tracking down these Albino kids and offering them security, food, and shelter. 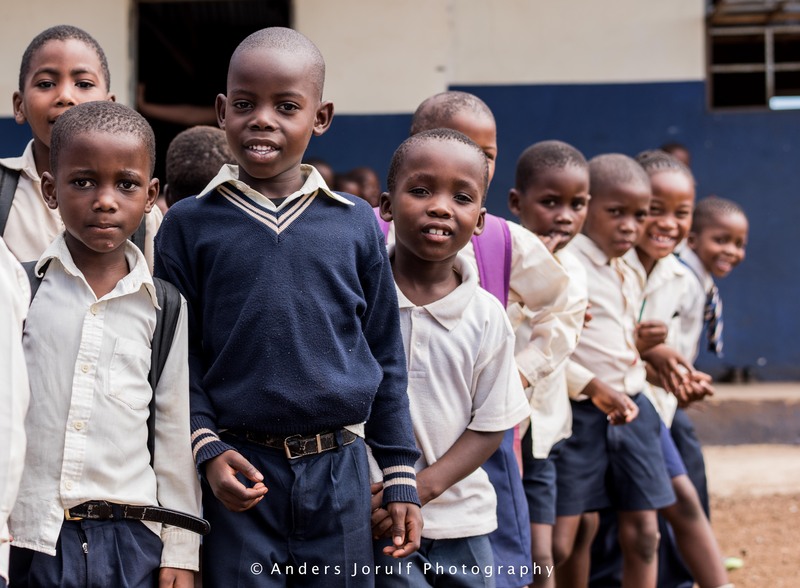 They send them early to school (when they are still very young) to spread the awareness among the other kids that Albinos are ordinary people and not dangerous (as per their perception in that area). Island Fotokurs 2018 - Nästa fotokurs på Island 6 - 14september 2019 !